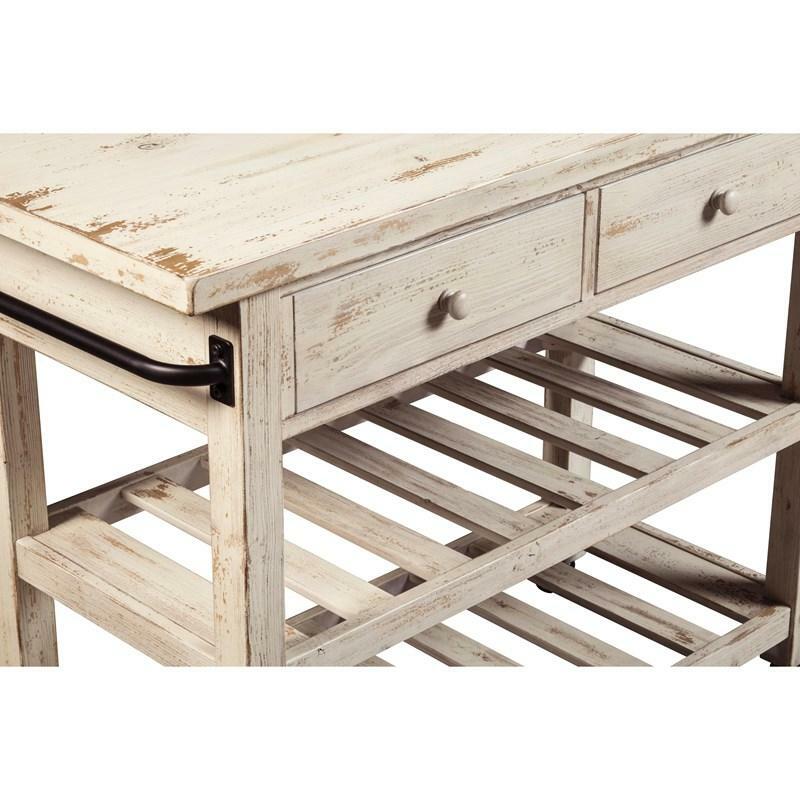 Have an appetite for rustic style and entertaining? 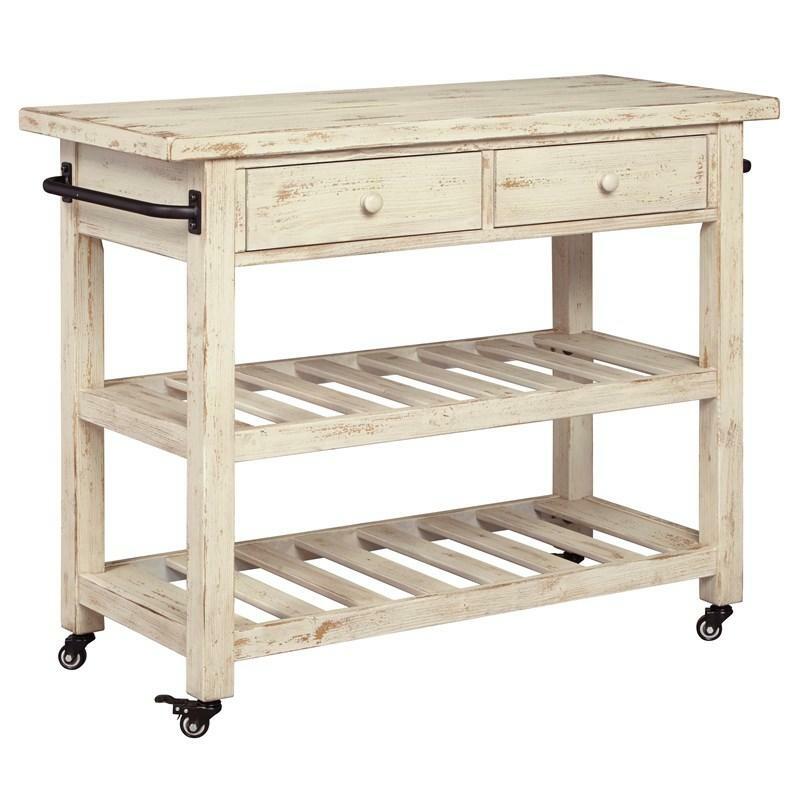 The Signature Design Marlijo kitchen cart will satisfy your tastes. Use it to store away utensils or put your pretty dishes on display. Towels can be conveniently hung on either side of the cart. 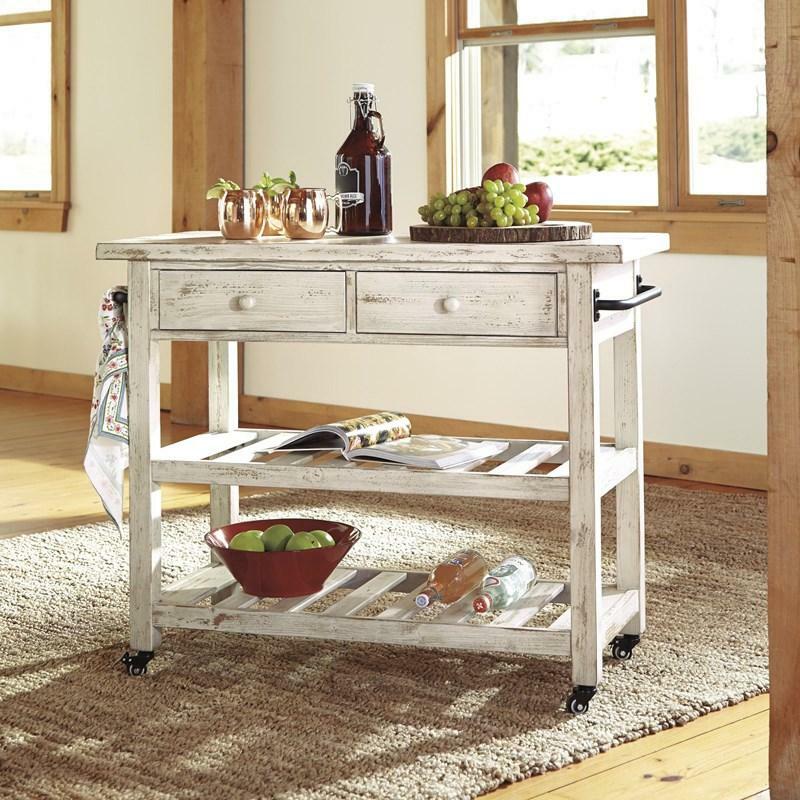 Lockable caster wheels let this urban farmhouse piece roll with you and stop as you please. Features Drawer interior (2) 12.25" x 12.25" x 3.00"
• Opening (2) 37.00" x 16.88" x 9.25"
Volume 7.43 cu. ft. / 0.21 cu. m.